Posted on October 6, 2017 by Emily Allbon. Categories: Alumni Interviews, Barristers, News, Practice Area, Pupillage. Christianah Babajide, one of Lawbore’s journalists, has, during her summer break, managed to squeeze in this interview with City alumni, Justin Rouse QC. 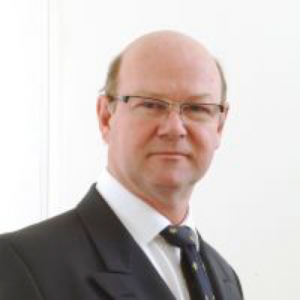 Justin Rouse QC is one of the UK’S leading barristers, practicing from 9 Bedford Row and a specialist in criminal law for over 30 years. He was called to the Bar in 1982 and was appointed Queen’s Counsel just last year. 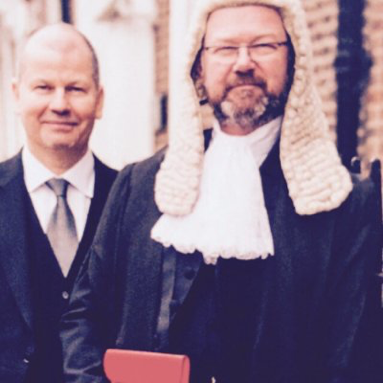 Legal 500 described Mr Rouse QC as a ‘fearless advocate’, and identified him as an outstanding individual in his field and pronounced him as a UK’s leading barrister not once, not twice but thrice in 2014, 15 and 16. In this exclusive interview, Mr Rouse QC, who is also a part-time judge, kindly shared advice for prospective aspiring barristers and perspective as an alumnus of the Bar course at The City Law School. To begin with, can you tell Lawbore readers a bit about your background? My father was in the Royal Navy so we travelled a lot. I went to School in the USA and on the Isle of Wight. You completed your Bar Finals (then called the BVC) at the Inns of Court School of Law (City Law School) in 1981. Why did you choose City? In those days there was only one establishment offering the Bar Finals course. I was delighted to win a place. Is there one thing you wish you’d known before starting law school? You don’t need to read law. It is much better to study a subject you like and in which you can get a really good grade. You are a leading criminal barrister in the UK. Which steps did you take to get to where you are today? Great clerking has helped a lot. My team under Paul Outen are magnificent and they ensure that I get good work. You have to put in the hard yards to succeed. Working to 2a.m. to finish a legal argument is not unusual. How would you describe your job in 2-3 lines? Intellectually and emotionally rewarding, challenging and genuinely interesting. There are few jobs that give you moments when you want to perform a little fist pump in the lift after work ends! Many barristers chose their profession because of its independence. What made you choose the barrister route? Sadly, the independence has been greatly eroded. When prosecuting, counsel must now defer to an in-house lawyer who may not have the grasp on the case that you have by presenting it in Court; when defending counsel are increasingly asked to lead in-house advocates rather than be permitted to select an advocate (solicitor or counsel) who would be best for the job. Nevertheless, as counsel I get great satisfaction from leading a team and facing the responsibility that when things go wrong, I must be ready to fix them. In what ways have the realities of your job differed from your prior expectations and in what ways has it surpassed it? It is no secret that constant government cuts have hit the criminal Bar very hard. Some have become bankrupt. However, like medicine, there is a real sense of purpose in the job and it does feel as though what you do matters to the wider community. Is there such thing as a typical day at the criminal Bar? No! Whilst being in a long trial can become monotonous – I recently defended in a fraud trial that lasted 6 months, the working week of a barrister is varied and interesting – with a lot of travel! There are many public misconceptions and stereotypes about the criminal Bar such as ‘criminal barristers earn less than the minimum wage’. Are there any misconceptions that you’d like to put to bed? Not that one. Some are earning very little indeed. Since the payment for a case is fixed, the longer you work on the case the less per hour you earn. However, there are some private cases around and there is an increasing amount of regulatory work – which pays well. Who is the Bar looking for? Someone who is courageous, not afraid of a fight, subtle, intelligent, highly qualified but above all personable – the jury have got to like you! You speak fluent French and Spanish. Do you think speaking more than one language helps to secure a mini-pupillage or pupillage? Languages are always an asset. We look for them in our candidates. Defendants come from every part of the world and they weren’t to talk to someone who really understands them. Some City graduates are reluctant to pursue a career at the Bar because they attended a non-Russell group university. Do you have to be from Oxford or Cambridge to become a reputable barrister? Certainly not. Our selection procedure looks more at the pass you attained than the venue. That said, with the same pass, the better your University, the better your chances. You have wide judiciary experience in fraud, corruption and money laundering. What is your most memorable case? The murder of a vicar by a 15-year-old boy who then dismembered him. The boy claimed he had found the vicar dead in the bath. He was convicted, appealed, his appeal was allowed and he was re-tried. He was then acquitted by a jury. Within months of his release he killed another man. Fortunately for my conscience I was only involved in the early part of this story. With the benefit of hindsight, would you choose this career path? What do you consider as your weakness?I wish I was more of a businessman. The training for the Bar does not equip you for financial enterprise. More information about Justin Rouse QC can be found via the 9 Bedford Row website. City alumnus, surely. Unless there’s more than one of him.